When a homeless guy sits in front of you. What do you do? I was on my way back from KLCC. So I was waiting for the usual bus at Bandar Tasik Selatan. It was sunny at the bus stop. The shades couldn't stop the sun. So I sat on the grass, near a pole where it was shady. Another reason I did not sit at the bus stop was because I spot a homeless man that to me, was a risky move to sit beside him. I was sitting there minding my own business and waiting for the bus for about 20 minutes until the homeless man stood up and walked pass me. But then, he walked back towards me and sat right in front of me, leaning on the pole in front of me. I was like, "Shyt, stay calm and look the other side. Ignore, stay calm, don't show any reaction." So that was what I did for the whole like 2 minutes, until he started talking to me!! Homeless man: Xiao Jie, ni shi Xiang Gang ren? Homeless man: Xiao Jie? Xiao Jie!! Homeless man: Ni shi Xiang Gang ren shi marh? Me: Err, I don't understand. Homeless man: You no speak Chinese? Speak English? Me: Erm, yes yes. I don't know Chinese. Homeless man: Oh. Why you don't know Chinese? Homeless man: Ohh, where you from? Homeless man: Ohh. Malay? Japan? Okay, so finally he stopped talking. He took out a cigarette and smoked. I thought, okay, repeat the same thing, look the other way and stay calm. THEN HE STARTED TALKING TO ME AGAINNNNNN! Homeless man: What is your "lim"? Your "lim"? Errr, like Cawan or Mohammad. Your "lim". I don't know what I did was correct or wrong. Some people might think "dude, kesian that fella larh weyh." But seriously, what was on my mind was, what if this guy actually robbed me or what, would the people around me just look and mind their own business or would they actually lend a helping hand? I don't wanna take the risk. When I am out alone, I usually give others the "I am a freaking strong person" face and the "please do not disturb me, I am pissed off" face. It's okay to act dumb once in a while. Other people don't need to know your capability. 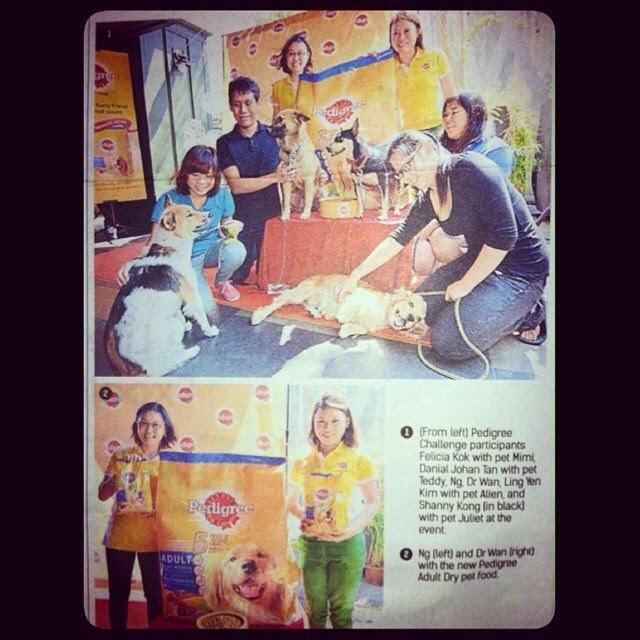 Mimi & I appeared on The Star newspaper! Take one step back and wonder. and everyone else is still living.